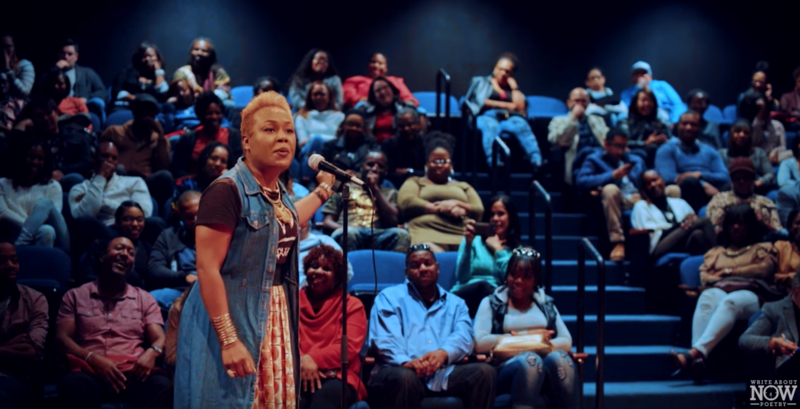 Sha’Condria “iCon” Sibley performs “Working Title” at the 2016 Bayou City Slam at the Alley Theater in Houston, Texas. The poem highlights many of the thoughts and reflections on the results of the recent 2016 presidential election. The poem uses the format of a working title infused with sarcasm and humor to address many Americans' concerns about the newly elected president and the future of this country.